I ordered this jacket for my grandson who hates anything too bulky. He’s 6’ and 175, and large fits amazingly. Very pleased to see him wearing it and liking it. I wasn’t expecting a whole lot but this is a good little jacket for the price. Purchased an XL, I’m 6’1 and muscular build. 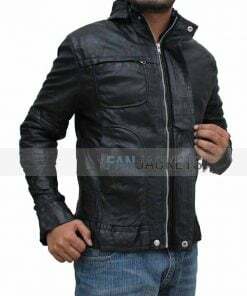 The jacket is a bit shorter than I expected but, it’s a good quality and just the right weight for a spring jacket. The all-new collection of Baby Driver Varsity Jacket is another outstanding edition that will give you classy look. 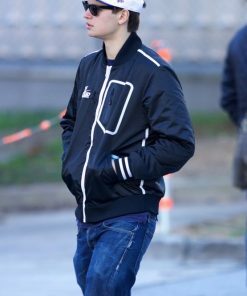 Worn by Ansel Elgort on the movie set of “Baby Driver”, this outerwear will offer you an amazing style. The entire outfit is made from the satin fabric and is crafted with perfection. It is an ideal Baby Driver Letterman Jacket for both casual and semi-casual events. You can wear it casually and in malls, hangouts and at other places. It’s a must-have piece for teenagers.